TICKETS ARE £15 IN ADVANCE OR £20 ON THE DOOR. 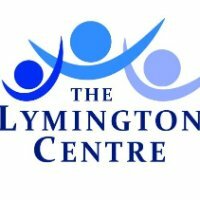 AVAILABLE ONLINE VIA THE WEGOTTICKETS LINK OR IN PERSON FROM THE LYMINGTON CENTRE. Facilities include a cash bar for refreshments. Come and support live comedy and laugh your socks off, its a great night Out. Parking is Available in the CAR PARK opposite . We look forward to seeing you there! Please note that we do not cater for Stag or Hen do's please contact us for more information.